worked out perfectly. This should be a free trade now. currently 70 points in profit. This is currently back testing its breakout point. maybe worth a short with a tight stop . im using 40 points. Last Edit: 07 Dec 2018 15:16 by remo. This has also broke strong supports so this could be heading towards the 200ema. Short term bearish. Gap close this morning but plenty of support below. 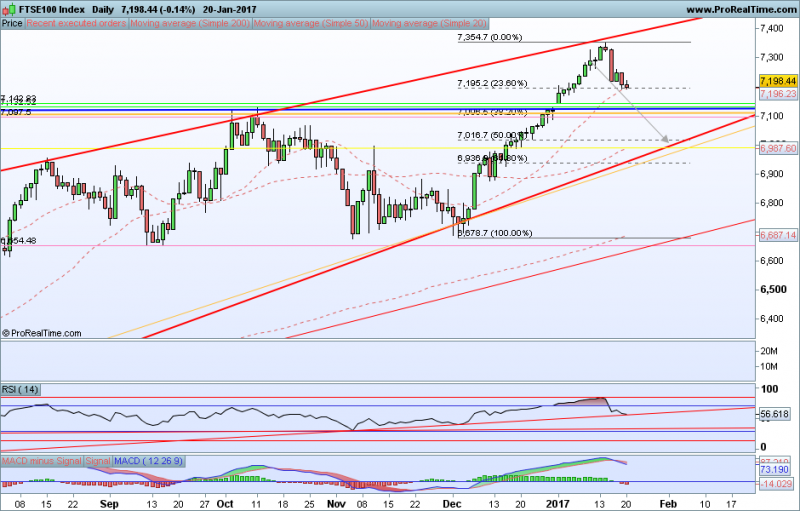 RSI breakdown today? Close below 7097 should give 7017 and a much needed retrace before new highs. Last Edit: 23 Jan 2017 09:20 by Food4Thought. certianly is bullish, 10,000 at soem point looks inevitable. i think this is in this broadening triangle, which is giving a best case target of a tad over 9000 by year end. 6200 being line in the sand. Buying the dips certianly looks like a no brainer imvho. A close above 7123 today will open up a target of .....10K!!! 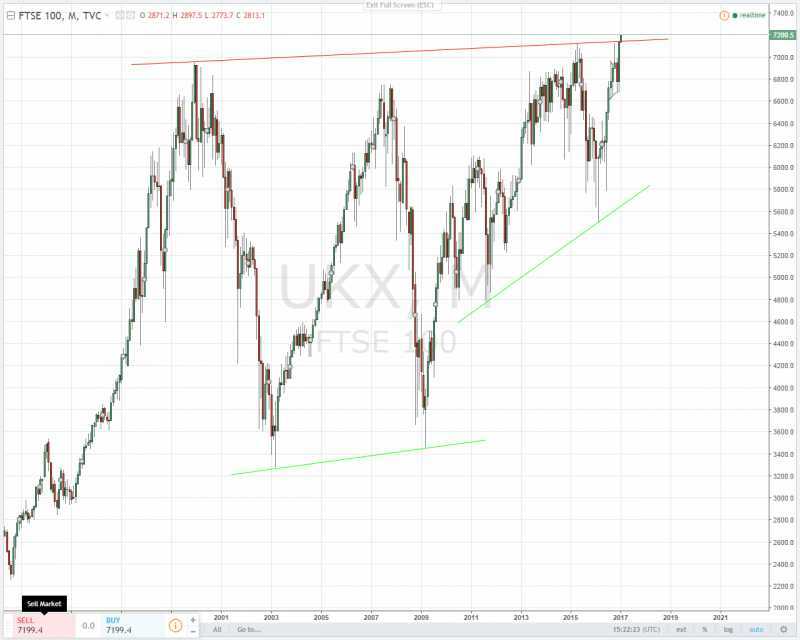 FTSE 100 looks super bullish!